Choosing an Alternate Ending | What Is? I’m the kind of person who loves to start doing things which will later end up unfinished: running twice a week, journaling significant moments in a day, writing down lists of things I’m grateful for and dropping it in my Gratitude Jar, keeping up with my planner every year, reading books, creating art, eating in moderation, (and possibly) ending this sentence properly, heh etcetera etcetera. One major proof of this phenomenon as you can see is my “absence” from this humble space for almost half of the year last year. Gee, am I such a mess? This is also the reason why I believe that the end doesn’t always justify the means. See, people can have beautiful beginnings yet have tragic endings and vice versa. Because choices bring a lot of who we are in this wilderness called Life. As I grew older every year, I am desiring to see if I’ve been making a difference, if I’ve been doing something worthy, if I’ve been living this life to the greatest extent possible. I’m coming to realize that whenever I start doing something, it would be brave of my character if I’ll pour in the needed effort to actually finish it. 2015 is a fresh start (once again) and I got this impression in my heart that this year is a year of getting soaked so deep in the ocean, swimming. You must understand that “me, swimming” is a metaphor of “me, committing” – me showing up for the things I’ve signed up for. Because it’s one thing to get in the water and it’s another thing to go paddle yourself to the center island from the shore. It’s one thing to start something and it’s entirely different to have the urge and hustle all the way to the end goal of what you have started. 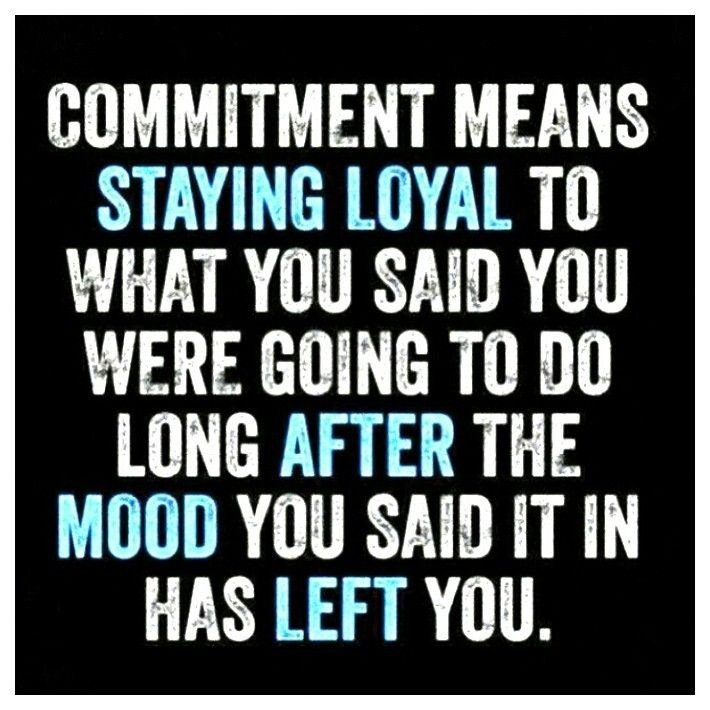 The word Commitment is such a bold word, though. It asks so much from you and to be honest, it’s scary. You gotta have the patience and the discipline to keep on pushing when all you wanna do is relax and take everything easy. I bet Easy is not even in the vocabulary of Commitment, maybe there’s only Hustle. Now, there’s a good chance of me failing to do my commitments. The month of January have proven that to me. When I was a little bit younger, once I failed on something, I convinced myself that I’d probably be failing my whole journey anyway so might as well stop. And I did. I stopped three fourths of the way, mid way, or even if I just took the wrong two or three steps from the path I’m trying to go to. I stopped because I felt that maybe I’m just too hopeless to even continue. Well, the younger self clearly didn’t understand commitment. I guess when things get tough and we can only measure our hope by teaspoons, we should still choose to stick to the possibility of overcoming. Commitment is hustling. It is working doubly hard to stand by our words, our passions and our innermost desires even if, sometimes, we have to face defeat. The overcoming of defeat is the highlight of every victory. And, it’s never gonna be easy. Here’s to the beautiful hardships that Commitment will bring this 2015! Here’s to hustling! Here’s to choosing an alternate ending – a well done one, a complete one. It’s about time. This entry was posted in Aspirations, Dreams, Inspirations, Journal and tagged Commitment, Life, Life Is?, Theme, Year 2015. Bookmark the permalink.